I know, I know I said that I would be posting more. Even though I have a lot more time, time has seemed to slip by me really quickly. The holidays were quite enjoyable for me, seeing family, enjoying time to relax and get some needed sleep, sort of. That’s a whole different story, I will not get into the details here. I’ve been doing my best to get some needed R&R, which of course takes into account knitting. Something that came with this holiday season is me finishing my B.S., something that I’ve been working on for the past 8 years. This for me is something, since I figured out 2-3 years in that I didn’t like college, but kept going and now I’m glad that I did. My degree is going to open up a lot of doors, but that’s not what I’m going to be talking about. As some of you know I’m a photographer and so is my father, which comes with a tradition. When someone on his side of the family graduates, they get a camera. Even though I told everyone no gifts, my dad upheld this tradition. My normal camera for digital photography is a Olympus EM-5, which is fantastic, it came with me to the U.K. and it held it’s own. I am super happy with mine, so I received the updated EM-5 MKII. Once I have samples of it’s capabilities I’ll show them. But lets get to the knitting. I’m working on more then one project which makes me a little on edge, I really enjoy working on only one project. I can get things done fairly quickly and have lots of finished objects done really easily. There is just something about having one dedicated project, something to enjoy from start to finish. I haven’t had that recently, only with the finish of the Longfellow cardigan, which I have worn. And I wore it to work, because a coworker saw me working on it and asked when it was done that I bring it in. Even the non knitters were impressed and wanted to feel the sweater. I was told that’s my new pick up line, “hey feel my sweater, it’s cashmere.” Anyways, I have been knitting a little bit on the Tamarack cardigan, I really want this to be done for me to be able to wear it. But I am working on my mom’s sweater, I haven’t touched that for a while. I’m working on two other things, one I can’t really talk about just yet. The other is the next Knit-Against that three of us are working on. It’s a traditional Orenburg lace shawl, maybe you’ve heard of it, 36 daisies. It’s quite massive with an accompanying massive 20 page chart. I started it on December 28th, the official start date, but haven’t picked it up since. I am trying to get a few things done that are a little time sensitive at this point. Going with the theme of having more time on my hands, I can actually write up patterns and design more. I haven’t done very much of that lately because of the limited brain power and creativity, but rest assured a big project I’ve been working on will get some more work done on it. I’m very excited about this and I hope that everything will be done soon, how soon only time will tell. But lets not get distracted by that, lets just take a look at what I’ve been knitting. This picture is a little older, but shows off the knitting fairly well. I’ll have more pictures of it’s current state soon. I’m sorry to everyone who reads this, since it’s been over a month since I last posted. This semester has been a Rollercoaster, taking up all of my spare time. But this is my final semester, I am finally graduating college with a degree. Changing majors set me back but in the end I have a major I actually like and will use. So now I am actually done as long as all of my exams go according to plan, I just had my last one today. Now it can move ahead with my life and all of the things that I’ve wanted to do. Enough of that, lets get down to the knitting. I had glorious plans on knitting my mother a pullover for Christmas, that probably won’t be happening. I had so little time and such little brain power that following any kind of chart would have not ended well. I’m still going to make it for her, it might just be a little late. I was insane thinking that I could knit it during the last month of the semester, so much had to be done with school. But never the less, she knows that I had a really rough semester and that I haven’t had a lot of time. She’s definitely knit worthy. It was very interesting however, last month when I asked her what she wanted me to knit for her, she wasn’t sure. She told me that she had a lot of scarves and such, that she wasn’t sure she wanted more. I asked if she wanted socks or a sweater, which her response was, “oh a sweater is too much work.” Which then I had to tell her that it definitely wasn’t, especially when making it for her. I have to knit the smallest size of most adult patterns, for them to fit her. Lucky knitter that I am, which is a contrast to knitting a sweater for myself. I did finish my Longfellow Cardigan out of Hand Maiden Casbah in the color Nori. I am so pleased with it, everything just fits. Though it is a difficult color to photograph well, so I’m going to try to snag a picture of me wearing it in good lighting. This was the perfect project for my mind this semester, auto pilot all of the way. I even have a different yarn to make a second one, but I think this time that one is going to be designated to the knitting machine. I know, I know, a knitting machine defeats the purpose, or it’s not “real” knitting. But damn it, if I can make this sweater in 2-3 days instead of 2-3 months, I’m ok with that. Especially if the sweater is all stockinette stitch, which means perfect machine knitting. Speaking of machine knitting, the sock machine is going to be pulled out of hibernation and I’m going to bust through some sock yarn stash. I will probably sell the socks as well, for just a little over what the yarn cost. Now that sweater is off of the needles its time for a new project. I have already started it, two sleeves done, and the body is started. I’ll tease you with this picture. Hopefully next time will come a little sooner. I have more free time now. Well this has been an interesting week or so. Lots of big assignments and exams due in the same week. But on a good note I finished My Cryptonite, it’s done, and with minimal yarn chicken. Well a bit of yarn chicken, ok more then just a bit. I had to buy another skein of color A and it came in handy. I should have chosen a yarn that wasn’t a little smaller then the requirement. Color C started to freak me out enough that I checked my friends stash to see if they had that same color and lot. She did, but I didn’t need it thankfully, I had plenty of B and C. The decision to cut in between a lot of the big sections meant a lot of ends, lots. I thankfully wove them in while I went. I just need to block it soon and get that going. I did start my Longfellow cardigan out of Casbah in Nori. I’m really liking how it is working out so far. I keep feeling the swatch on my arm, feels so good. Makes me want this cardigan even more, but it’s going to take time. Hopefully I’ll have it done next month, but that depends how much time I have to knit. Check out the add for the newest design, Spring Iris. You’ll see it on the patterns page under the featured patterns on the right. Today is Sunday, which is a day I would normally be at work all day, come home, have a little time to do homework, knit, and relax. Monday starts my long day at school, which means not a lot of time to do anything before I leave. But it appears that I have caught the plague that has been going around, which started late Friday night. Started with a sniffle, which shouldn’t happen since I take allergy medication 365 now (since they can be pretty bad). But when I get a sniffle on top of that , I know I’m getting sick. A few other things clue me in, like running way warmer then the warm I usually run (not a fever though), headache, then feeling cold and boom, sick. My coworkers yesterday said that its good that it’s getting out of the way before I fly, I disagree. It would have been better that it happened after I came back, or not at all. What ca you do, you can’t win them all. What that means though is that I have a full day to do whatever I need to do, granted it’s mainly sitting at home, trying to fend off the sick. But what that means is that I get to knit today, more then I would have if I had to do my normal Sunday. I might have a shot in having my design done and ready before wednesday. It’s a long shot though, I just started the last piece about an hour ago and it’s making good progress. But then there is the blocking, ends, seaming, and all of that fun finishing bits that I need to do still. If I’m diligent today however, I have a good shot of having it done. I’m really hoping that I can get it done, so then I can swatch and work on something else, travel knitting. I have that narrowed down at least to a cardigan, shawl, another shawl, another sweater, and a few other ideas. Maybe even some socks that I’ve wanted to do for a bit, out of some fun hand dyed thicker yarn (not that thick, it’s a sport/DK weight). But I do have a little time to think about it today, swatch, and get everything packed up. I have the yarn wound up for the sweater though, some Casbah that I have had in stash for a little bit now. It’s in the color Nori and I think would make a great light weight cardigan. Though I think that crazy thought I had about 2 weeks ago isn’t going to happen. I wanted to make a super bulky sweater that I’ve wanted to make for a while now, which would be perfect for colder weather. But even at my knitting speed as it is, with the time remaining I think it would be impossible. Only with a knitting machine could I actually do it and my flat bed machine isn’t made for super bulky yarns. Maybe when I return I will thin about casting that on and just have it waiting for the next time I need a big bulky sweater. And now a time warp. It’s Sunday evening and I’m still taking my cold drugs (yes they’re helping, even if it doesn’t seem like much). I am just over halfway on the last piece I need to make before this project can be called finished. Lets hope that I can get it done. Going to knit more and keep binge watching things on Netflix, I’ll post photos when I have the energy to take some. Well not of this design, not yet, that you all will have to wait and see. I have to start packing too, yikes. I don’t think this will come to a surprise to many of you that I still have issues reading patterns, I think I’ve found out my problem. When there is a shift in the pattern or I think I know what the pattern says without checking, I have a problem. Lets talk about the most recent issue I had, which didn’t happen once, but twice. I’m referring to My Cryptonite, which the pattern is written very well, it’s very clear, just my brain can’t compute. Lets break it down shall we. I knit through the part that repeats itself quite a lot, without any errors, well maybe one, but that was no big deal. I get to the part when the pattern changes slightly and I think I see it say something like “just keep going with the same pattern”. I keep going in this manner and about 30 rows in, I look at it and think it’s time to start a new section. I look at the pattern and curse myself. I repeated the wrong section for the last chunk after the big repeat section. Decided to rip it out and to do it correctly. Have a bit of turmoil of either I rip this out and get it right, because the third time is the charm. Or who about not, I don’t want to do this part again, it won’t make much difference. I’ll just fudge it a little to get everything on track again. Early morning knitting while having school fatigued brain doesn’t help. The designer saw the picture of her design I was knitting that I posed on my instagram (@tygerknits if you’re interested). Do I think that I’m going to be able to read patterns in the future? Probably not. Do I think I can still write a decent pattern? Yes. Do I want to get this knitting done to knit one more thing before next month? Yes. Today would have normally been a day I would be in school until late, but thankfully I have today off because of a National Holiday. I honestly thought I would have gotten up earlier but I guess I need a long recharge from this past week. Not that it was especially trying or hard, but just because of some stressful situations with school, which are now resolved. And the fact that I am not a morning person and I’ve had to get up early a lot because of school. But I have been knitting, quite miraculously I have been, not a lot but enough to keep my sane. I have my school project which is Love of Spiders, a good one that I can just auto pilot while in class, going unnoticed. It’s in Mora Silk, which is nice to work with, makes a very nice fabric. The blue is more of a turquoise blue, but it is still very nice. Lots of ends to deal with since I didn’t want to carry up the contrast color and make the edge too tight. Just a little more to go and then I can start the next section of the pattern. Maybe I’ll get a section done tomorrow during my lecture. Even though I am trying to be a monogamous knitter, I can’t be when I have a design going. And the Sports were the non thinking knitting, but those are done. I just need to finish a little more seaming, wash, and block them and then I can call them 100% done. But the spiders should have been it’s replacement, but I’m delegating that to be school only knitting, so I needed something else for non design knitting. So I started My Cryptonite, yes I spelled that right, it’s a Melanie Berg pattern. I debated getting 3 skeins from my LYS for my Birthday, but resisted and instead went into stash and pulled out 3 skeins of Madelinetosh Sock, one deep stash, one medium, and one kinda medium. The colors I chose were, Composition Book Grey, Fog, and Grasshopper. I’m really happy with how they are mixing together and this pattern is so great. Maybe I’ll have to dig again later and make another. Composition book is not that pinky purple in real life. I just wanted some quick photos, so no edits. But these will do for now. Back to enjoying the day, going to knit for a while. Let’s start this off that this hasn’t happened before. We had some Madelinetosh get delivered to my local yarn shop, usually I can resist and I did. But there was a new color that came in that I liked, but it and another color was being looked at by my friend. She decided that she only needed 3 of each and left the other 2 skeins. I had them in front of me and another friend and I were looking at them. I told her if she wanted them she should get them. So she did and so the end of that skein, or so I thought. But then last week that yarn came back, she returned it. A friend that works there had it but she decided she didn’t want it and passed it along to another friend. Then she decided she didn’t want it last Friday, so then it was in front of me. I knew it was destiny that it came back to me, but I needed to know what it was going to be if I bought it. So I did, it’s very pretty, one of the better new colors from Tosh. I think it’s going to be a Sharktooth because the other 2 I knit were gifted to my mother and she loves them. But I miss having one of them and it was a fun knitting so I think the skein would be perfect for it. That yarn is Madelinetosh Sock in the colorway Marfa. I think it’s going to be a perfect Sharktooth. 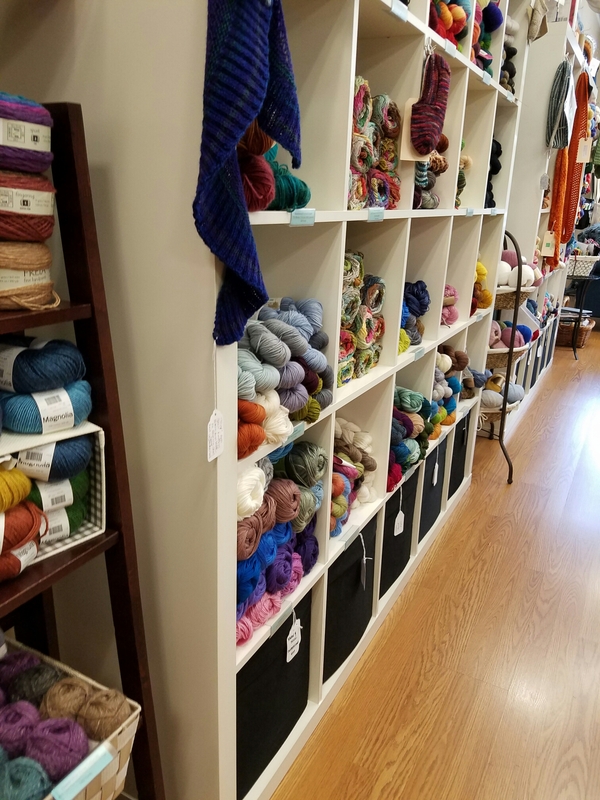 I did visit another yarn shop yesterday, on my way up to Walnut Creek I stopped in Danville to a shop I had tried to visit 2 times prior but because of traffic I wasn’t able to get there in time. I finally got there and couldn’t have been more thrilled. This shop has yarns I can’t get in my local shop or the other few remaining. But the staff is also super friendly and the owner is such a sweet heart. The shop I’m talking about is A Yarn Less Raveled, not a large shop at all but is still full of wonderful treasures. That is what has been going through my mind as I have been working on my second on the spice market. I’ve been calling it The pride market, but it also kind of looks like confetti cake. Don’t get me wrong I like confetti cake, but it’s not my absolute favorite. So it’s a little weird that I’m seeing both names in my head while knitting on it. And speaking of knitting on it, it’s been a rather slow knit on it, due to the weather here. It’s been hitting the low 90s, which yes for some of you is pretty tame, but for me it’s way too hot. It is even worse that now it is long enough that it can sit on my lap, making me warmer. You know I must be a little sadistic, knitting with wool during the summer, and not only that. But I’m knitting with wool and making things that would fall into my lap as it grows. I think once this is finished I’m going to need to have a more summer related knitting project to work on while focusing on designs. Speaking of those, I haven’t really been working on my current design. I just haven’t gotten out of the garter funk I’ve been in, until today. 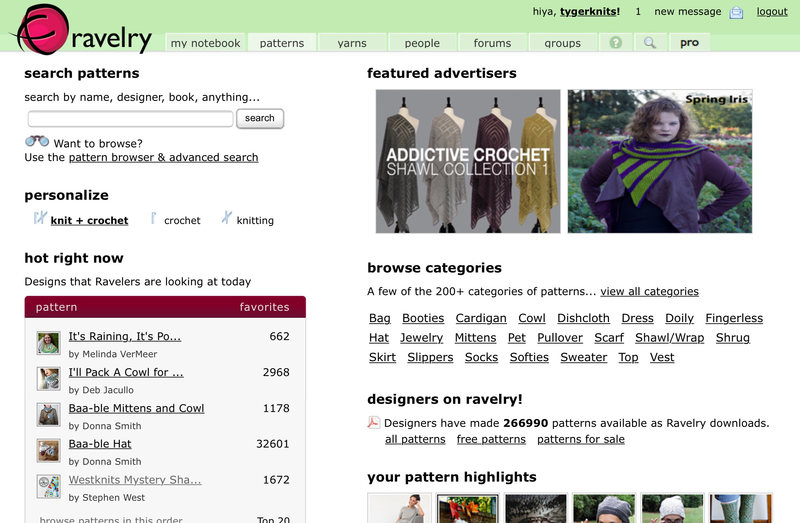 Where I feel like I can work on designing fantastic patterns again. That and I have a design for 3 colors of silk I kind of want to have for the summer. Pretty isn’t it? Of course it’s out of Madelinetosh Tosh Sock and Twist Light, and Fiber Seed Seedlings. I’m very happy with how it’s turning out and how squishy the Fiber Seed yarn is. I think I might need to get more of their yarn in bigger skeins, but once I get the stash more manageable. I do have one pattern out to some test knitters right now (can’t remember if I mentioned that). I’m waiting for them to finish to see what else needs to be changed in the pattern. Not only that but I’m coordinating with the model and I want to make sure it’s a day that isn’t too warm, because modeling wool in the summer evening can be really uncomfortable. But we will have to see what happens, it’s just going to take me some time to get all of this together. Thorough I think it will be a great summer accessory if done in a silk. I think I’m in a silk mood right now, even though I love wool, just hot weather and wool don’t mix. I’m not looking forward to some of the photoshoots I have to model for that are going to be in wool. I think I will do that, once I finish this knitting I’m going to pick something silk to work on. Probably not the silk design just yet, maybe something out of Tosh Silk Lace. I guess we will have to wait and see. Well it’s been a little while again and I will say I was going to post earlier this week knowing that it was a little more overdue. However with the events that happened early in the week I couldn’t get myself to write about anything. I needed to take a few days and let the shock and horror subside a little bit. I can’t say too much more about it without getting too emotional, but I will say my thoughts are with all those close to the victims. And my town that I live in had a vigil early in the week too, which was nice to see, and thank you to Stephanie Pearl McPhee for your kind words too. Lets get to something a little more upbeat, knitting. Yes I have been knitting, still part of the morning routine, make coffee, watch youtube and knit for an hour. I’ve been working on a large design project and that’s going very well actually, I think I already have two test knitters lined up for it. It’s just an idea and part of it is knit, but I think that will give you an idea of how awesome it might be. But I am working on my On the Spice Market, it’s going well. I’m on the final stretch now, the final section, just finished the first contract color block this morning, ready to start the next. I think that I might need to get some of the small skeins of Lorna’s Laces Sock yarn and make another one. Gotta get back to knitting, I’m so close to finishing. That and with the main color I’m kind of playing a bit of yarn chicken with it. Finishing the last color of the second section I saw that my ball of yarn was getting quite low. I started to panic, so I did what every other sane knitter would do. I checked on my LYS’s website to see if they had more of this color in stock. They do, will it be an exact match? Extremely unlikely, but it should be a close enough match. For now I just have to see how long this ball lasts me, hopefully to the end of the project. Not looking forward to sewing in those ends, maybe I’ll do that after lunch. I have to admit that I have not been using the sock machine that much. I did pull it out about a week ago to dust it off, give it a little oil, and see how well it’s working. Working well still, with all of the idiosyncrasies that I remember. But that’s not what Ive been working on, I’ve been weaving. I have not forgotten my loom, but it’s been a while since I picked it up. So I folded it open yesterday, got aquatinted with the pattern again, and started cruising. It’s not a hard pattern to follow, it’s a pick up stick pattern. So every 6 throws I have to change the pick up stick. Which can be the most time consuming part, but I’ve gotten into the rhythm of it (for the life of me I couldn’t spell rhythm, I spell better in French, go figure). Side note yes English is my first language, but it’s not my best sometimes. Let’s not get too sidetracked, back to the loom. It’s going pretty well, I was able to do about 12 inches yesterday, in between breaks and trying to stay cool. It’s been pretty warm this week, in the 90s but then it drops to the 60s the next day. This weather is strange and makes fiber crafting harder for me. But I persevere and keep going, but weaving isn’t the only thing I’ve been working on. I’ve been knitting on my On the Spice Market. I’m in the second section where you have little blips of the contrast colors. The contrast rows are a little slow in comparison to the main color rows, but it’s going along. I started the third contrast color two nights ago and am about 3/4 the way through with this color. Then I get to keep going with the next 3 colors in the same section and the final section with all seven colors. Yes this project is going to have a lot of ends to weave in, I think I better get a head start on that. And just a quick design update, the new pattern is to my test knitters right now. I am excited to see what they come up with. I know one of them is knitting it in silk, which I think will be perfect. So that is going along quite smoothly, I’m hoping to have it ready for mid summer launch, but we will have to wait and see how things go. And the brand new design I’m still working on, has a lot of math. Let me just say this is making my mind melt a little bit. I don’t know if most people know how much work designers put into making sure they think of every last detail of a pattern. Ensuring this line up, you have the right numbers, and everything is as perfect as they can humanly get it. Or maybe that just how I like to make my patterns. In any case, this is going to take me some time to get all of the math out of the way, but I will say that it’s going to be awesome. I might have said that already, but I’ll say it again, it’s going to be awesome!